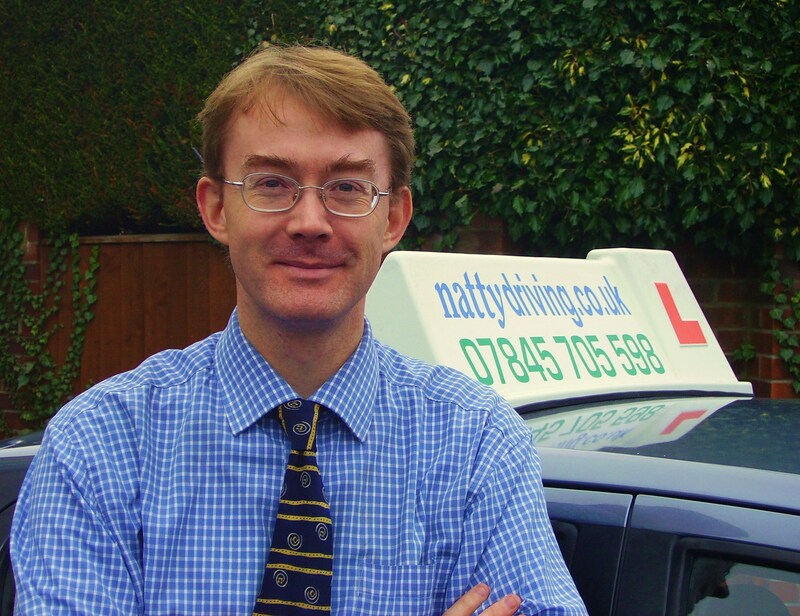 Nathaniel Reed has been a driving instructor since 2007, and qualified as an Approved Driving Instructor (ADI) with the Driving Standards Agency (DSA) in 2008, having passed all three examinations first time. He is a member of the DIA (providing full professional indemnity & public liability insurance) and the local GDIA. Nat is based in Churchdown, Gloucestershire, is in his mid 40s, and is married with four young children. From February to October 2008 he was franchised to 'British School of Motoring (BSM)'. From November 2008 he joined 'Two to One' school of motoring. In December 2010, Nat went solo with 'NattyDriving.co.uk'. He's looking forward to what the future may bring ! He and the family enjoy walking in the Gloucestershire countryside, playing boardgames (such as Carcassonne ! ), and with what little spare time he does have, Nat creates photoshop artwork illustrating fanfic for his Star Wars fansite..... yes, there's a human side to him ! !